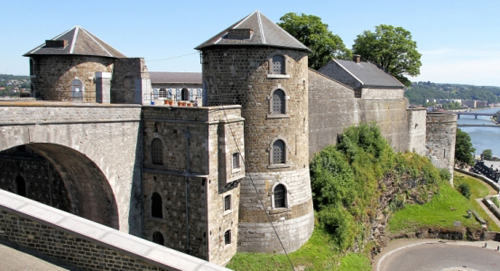 A two hours tour that starts from the Esplanade of the Citadel or from the Castel of Namur. 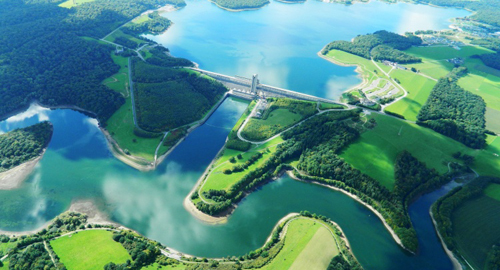 Come and discover Namur from a brand new point of view. On the program : The citadel, the confluent, the old city. A two hours tour at the heart of Floreffe. 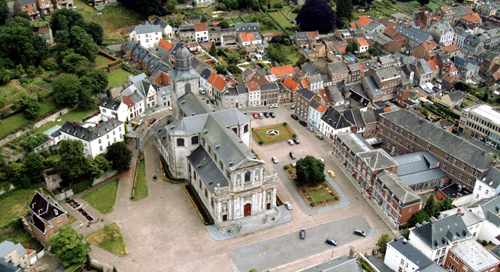 A tiny little village next to Namur. 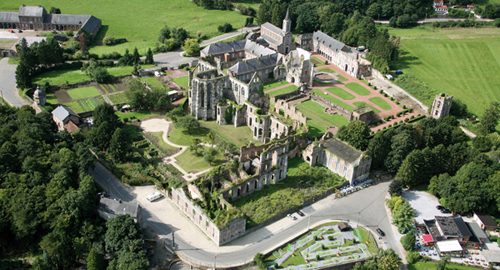 Thanks to that journey you will discover the greatest treasure of this village, the abbey. Come and take a 17km ride around the lake of the "Plate Taille". Starting point : route de la Plate Taille n°2, Bossu-lez-Walcourt. 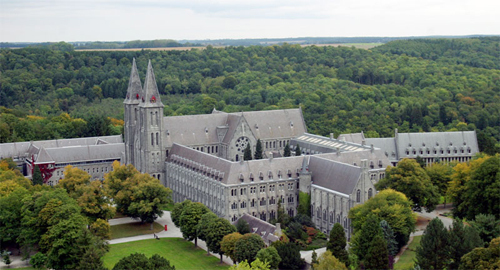 A two hours ride which starts along the railbikes, then goes through the beautiful village of Maredret to peak at the foot of the Abbey of Maredsous. 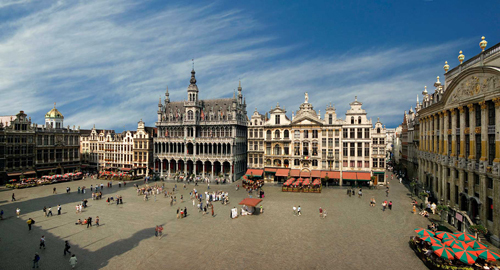 Discover this exceptional site and its 1,300 years of history during a tour of two hours. 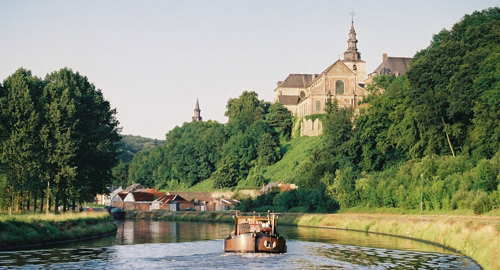 Explore Andenne, its mills, its views, its history during a walk of two hours. 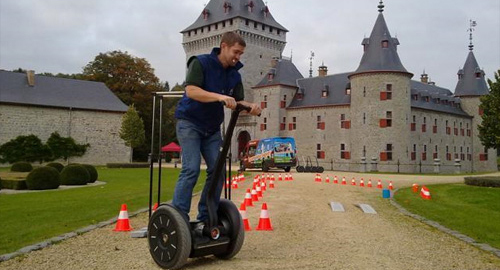 Explore the historic heart of the capital of Europe during a two hours ride. A stroll and presto! 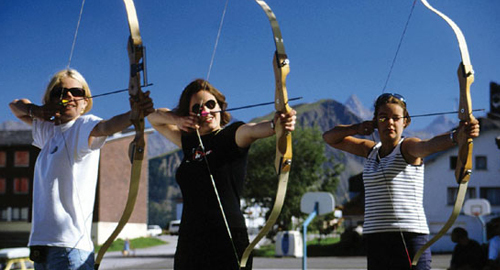 It's the end of the ride, the teams clash in a thrown darts. Choose the gift of the winning team yourself. An included gift option is available. 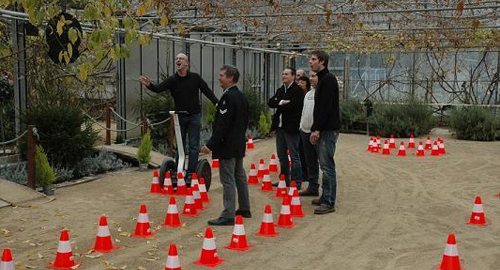 Teams compete in a technical course with obstacles. 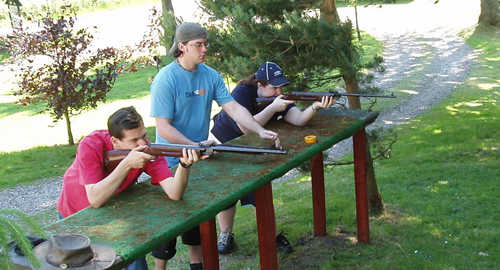 Add a touch of competition to your teambuilding day with a shooting event. 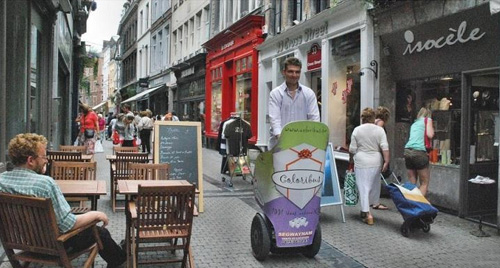 Discover our practical Street marketing solutions. 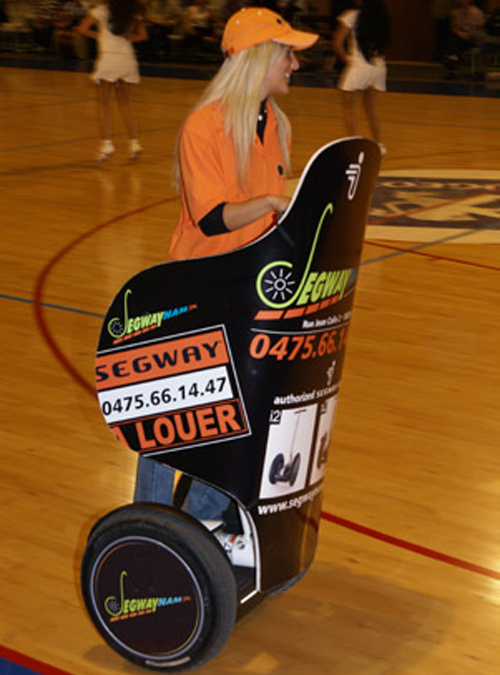 Whether you need an awareness campaign or simply a classic promotional campaign, our segways are your solution. 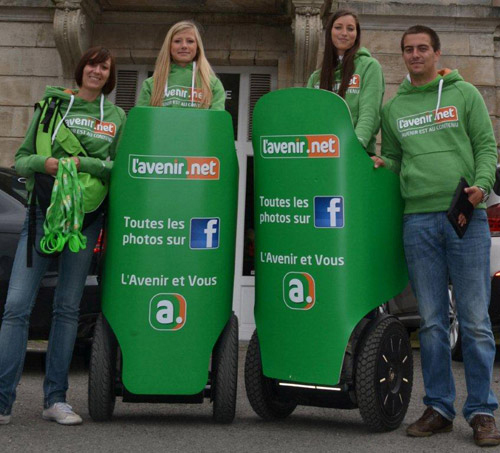 Our promoboys / girls are also available for any street marketing events.